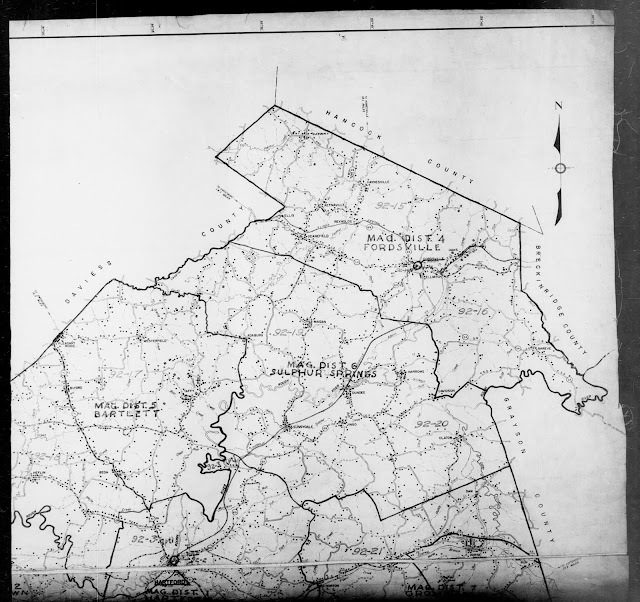 The 1940 census maps might help you find where your ancestors lived and what church, school or cemetery was nearby. 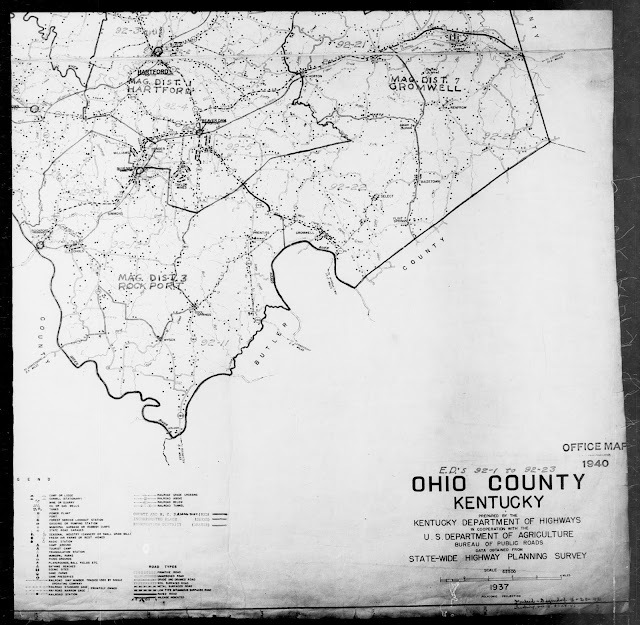 Ohio County was split into 23 enumeration districts (92-1 to 92-23). A person was paid to visit every house in the district within a one month period. The following maps are only for the 1940 census and different maps were probably used for earlier years. 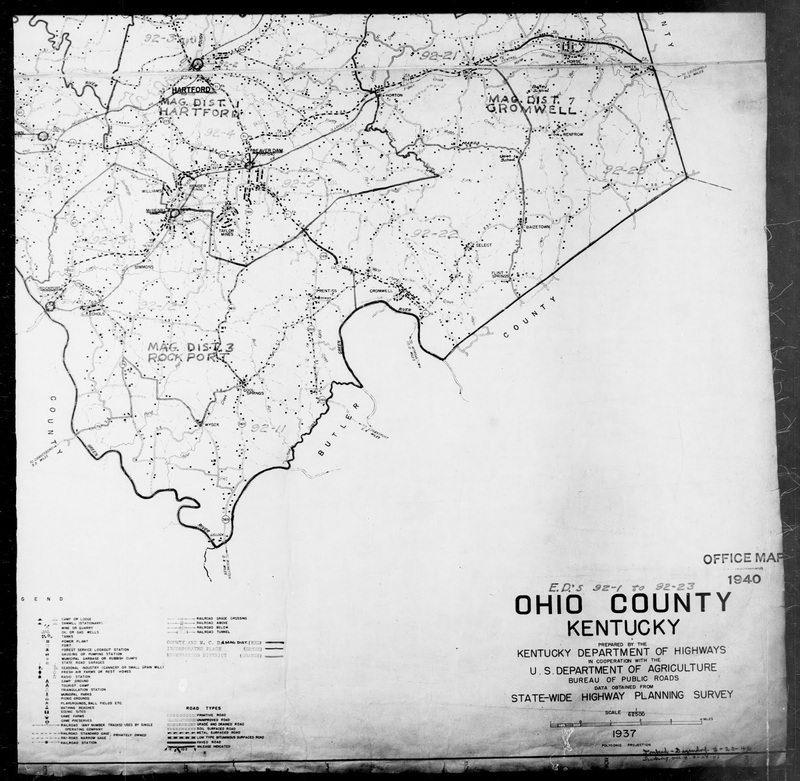 Note that the maps also show "Magistrate Districts" which are political districts - a Magistrate is the same as a Justice of the Peace (each county in Kentucky is divided into 3 to 8 Magistrate Districts). 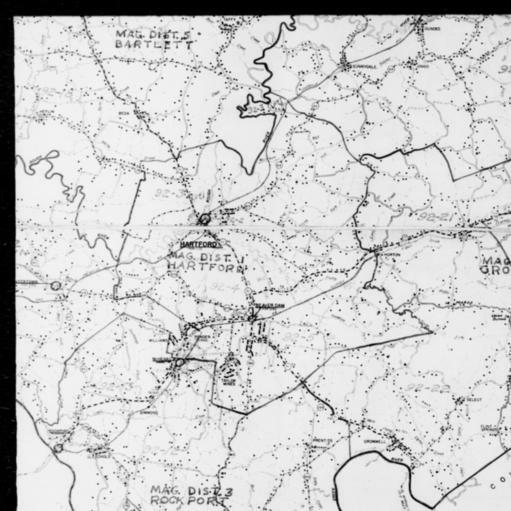 You can zoom on these maps to a very fine detail and see the names of creeks and symbols for homes, churches, and other buildings. The "legend" for these symbols is found on Map 2 in the lower left corner. Population is shown for some towns; for example, the first map shows the population of Fordsville to be 570. 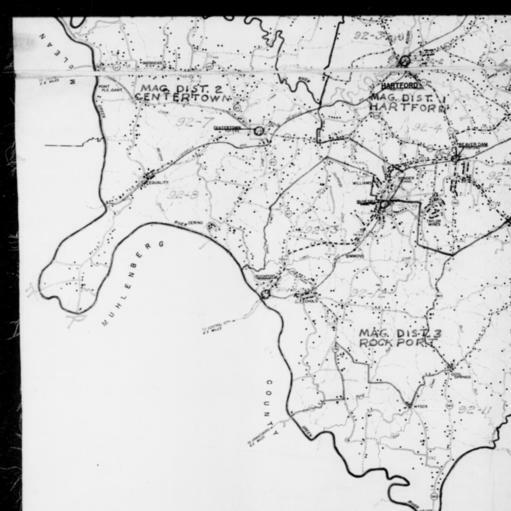 Actually, Map 2 discloses that this is actually a 1937 map prepared by the KY Department of Highways; so the Census office used a 1937 map and added their information by hand for the 1940 census. When you find your ancestor listed on the census sheets you will see that the far left column is for the name of the street or road they lived on and the next column is for their street number. 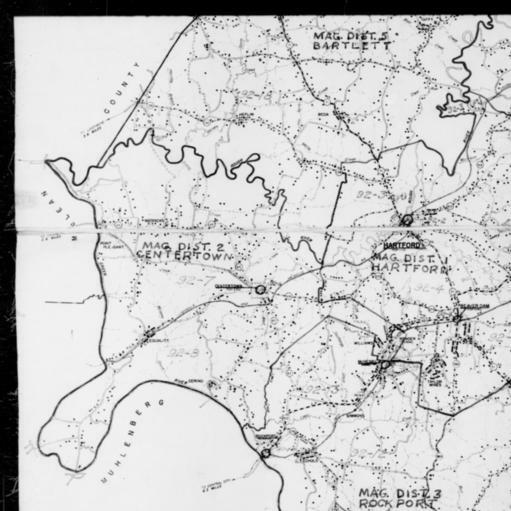 Of course in rural areas street numbers were not used in 1940. If nothing is shown for location then the person that prepared the document failed to fill it out completely, which is often the case. 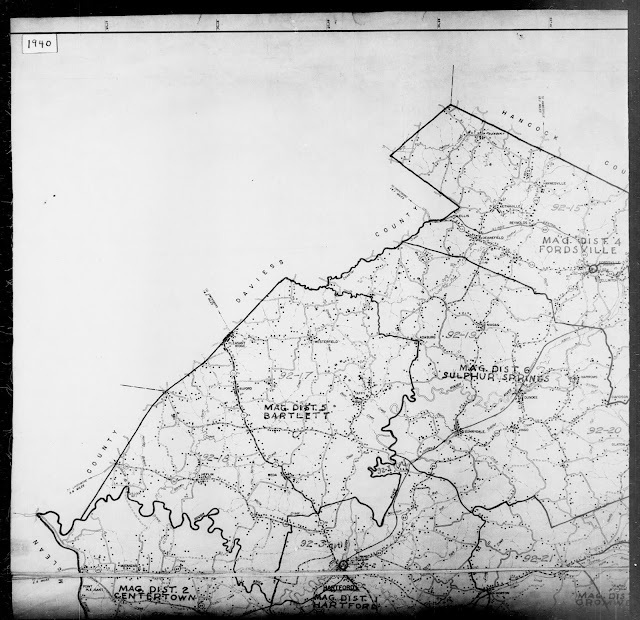 In the upper right of each page the Enumeration District is shown, which corresponds to the maps. Each page is dated and signed by the person that took the census. If you are lucky your ancestor is listed on line 4 or 40 - if so, look at the supplementary information at the bottom of the page. So, find your ancestor and then use the maps to try to pin-point their location and see what was nearby. If you are a member of Ancestry.com you can see these same maps and those maps may have better detail for viewing on your computer.